When Sophie Collingwood's beloved bibliophile Uncle Bertram dies in an accident at his home, Sophie is devastated, and becomes convinced that something isn't quite right. But was it foul play, or has Sophie simply read too many Agatha Christie novels? When she accepts a job at a local antiquarian book dealer, in order to fund her quest to reclaim Bertram's book collection from the dealers who bought it after his death, she is drawn into a mysterious quest for a rare second edition of a book no one appears to ever have heard of. Not one but two customers are looking for the book. One, Winston Godfrey, is charming and quickly becomes Sophie's boyfriend. The other, George Smedley, threatens Sophie and adds fuel to the theory that her Uncle was murdered. As she gets further into her investigation, Sophie realises that the manuscript she seeks is worth more than she thought, and could possibly let loose a scandal that would change the literary perception of Jane Austen forever. 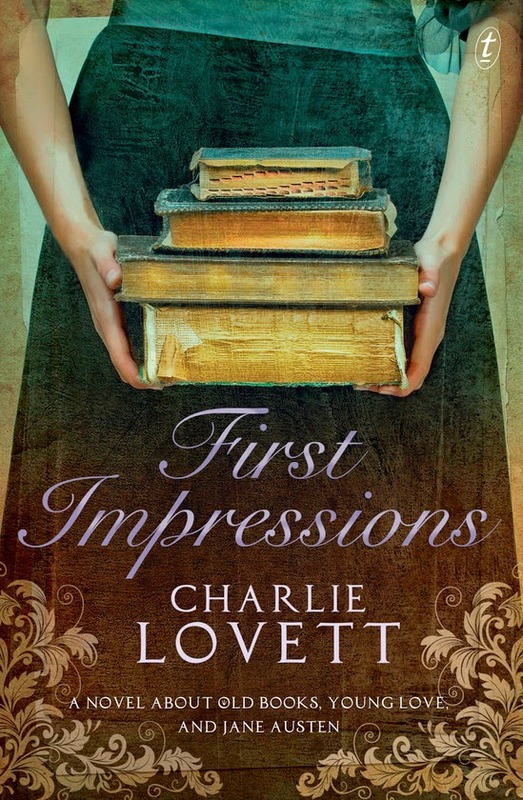 First Impressions is a novel about the comfort of reading, and the particular compulsion that drives readers to collect and love their books. It is, in short, a book for book lovers. For those who love Jane Austen, never fear-- this is not one of the legions of dreadful Austen paraliterature that seem to be springing up everywhere, but in fact a charming, if slightly corny story about the lifelong benefits Jane Austen can have on someone's life. The book is told in alternating chapters, one half following Sophie and her search for the book, and the other following a semi-historical narrative of a twenty year old Jane Austen and her relationship with a visiting clergyman staying nearby to her Steventon home. Sophie's narrative shares more than a few similarities with the plot of Pride and Prejudice, not least the arrangement of her two love interests. Eric Hill is the rich Darcy-like figure who at first disdains Sophie and then pursues her, whilst Winston Godfrey at first seems fun but is revealed to be a cad, much like Wickham. Like Lizzie Bennet, and indeed Jane Austen herself, Sophie's closest confidant is her older sister. Lovett's previous novel, The Bookman's Tale was a similar mystery of literary importance which involved a quest for the authenticity of Shakespeare's work, and was a novel which I found more than a little clunky. In Pride and Prejudice, Mr Darcy famously says, "My good opinion, once lost, is lost forever," yet even he can change his mind. My reaction to this, Lovett's second novel, reminded me strongly of this quote. I was hesitant to read this novel, in case it was disappointing, but I was too drawn in by the plot, and I'm so glad I read it. The main character, Sophie, is charming and strong; the depiction of Jane Austen is gentle and unobtrusive to the Austen fan; and the story, over all is comforting. My one gripe was the 'dastardly' qualities of the bad guys. There was too much of the sinister caricature in the book's villain, and he failed to hit home in the way he was probably intended. So if you're looking for a lovely book to read in a verdant country garden with a pot of tea, this is it.